This 2CD collection includes 50 of the most commercially successful vocal group recordings of the 1950s and is the perfect overview of this musical genre. 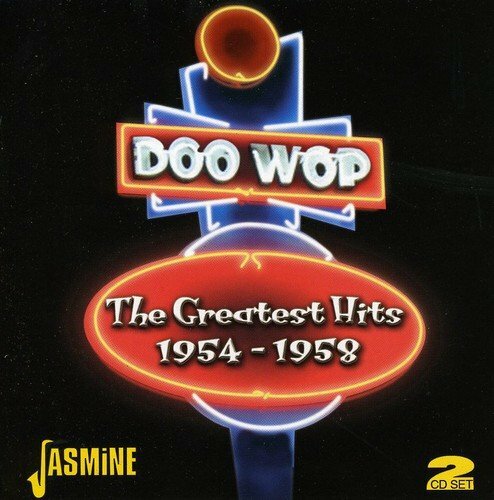 Featuring the most famous of all doo-wop songs which were pop and R&B hits between 1954 and 1958. A large proportion of these songs have been given a new leases of life as major pop hits. Amongst these are Dean Martin's "The Door Is Still Open To My Heart", Kylie Minogue's "Tears On My Pillow", The Darts "Come Back My Love, Dion's "Ruby Baby", Herman's Hermit's "Silhouettes", Pat Boone's "I'll Be Home" and Bobby Vee's "Devil Or Angel". Also featured are both the tracks in the UK TV commercial for Dreams beds "In The Still Of The Night" by The Five Satins and "Oh What A Night" from The Dells. This endearing genre has lasted for over 60 years and has been provided with a new lease of life in the CD era.